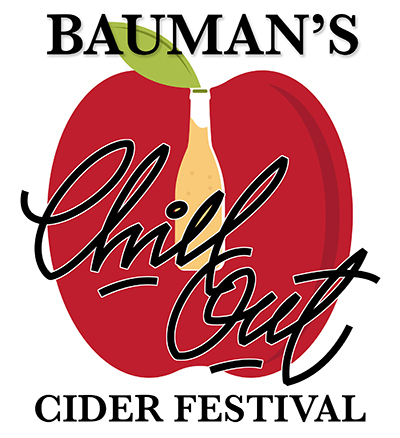 What: Bauman’s Chill Out Cider Festival is a brand-new event to kick off Oregon Cider Week. No better place to celebrate Oregon Cider than on a century farm that was homesteaded in 1895 and where great grandpa Stephen first made cider in the early 1900’s. How Much: $20 admission and includes 10 tasting tickets and a Bauman Cider Tasting Glass. Purchase tickets before June 21st and receive two extra tasting tickets. How Many: There will be at least 10 different cideries from the Northwest. Each one will be pouring 2 or 3 of their favorite ciders. Which means guests will be able to taste over 20 different top ciders. A portion of all Clyde’s Dry Cider sales will go to the Clyde Bauman Memorial Scholarship fund, which helps youth in our rural communities go to college. Additional tasting tickets will be available for purchase at the event. Cost is $1 per ticket. There will be an onsite Cider Store set up for you to purchase some of your favorite ciders. Food will be available for purchase throughout the event. $5 Designated Driver tickets will be available at the door. Our Farm Market, Bakery, Garden Center, Animal Barn, and Playground will be open during the event, which will provide fun things to do for the whole family.